Employer Services - Hiring is Fun test — Associated Staffing, Inc. Looking to hire a manager to take your company to the next level? Need a large workforce for an upcoming project with short notice? Need to screen your workers? 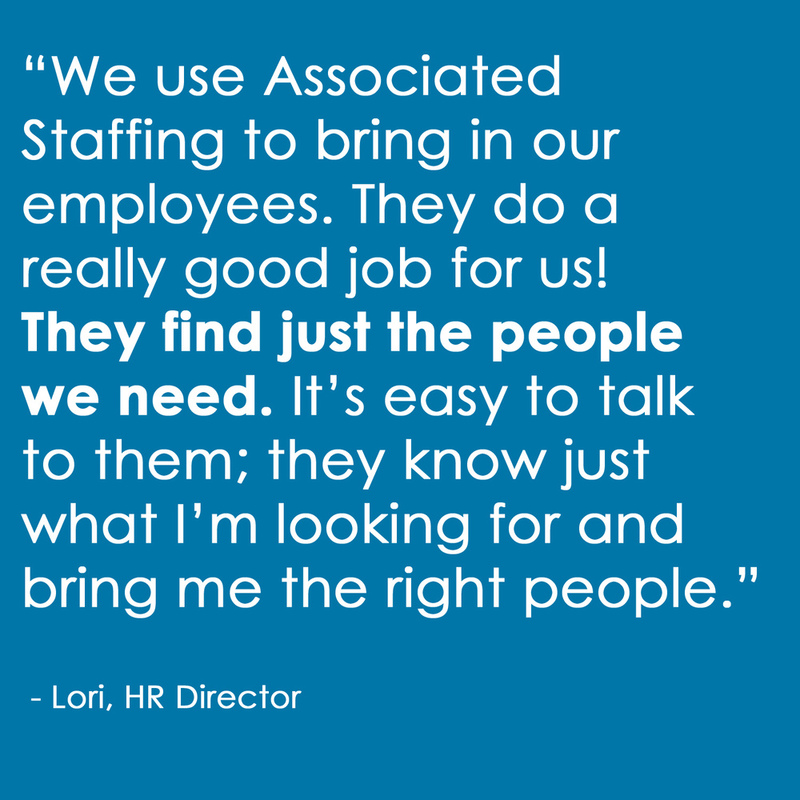 Associated Staffing is your Staffing Solution! We are comprehensive, go-to resource for businesses of every size, in every industry. Our team of skilled recruiters has the expertise to take your business to new levels of success and to be a true extension of your human resources department. Click a category below to find out more about our services. To contact us, fill out the form below or click above on Locations to contact your local Associated Staffing office. We look forward to working you to find the perfect solution to your staffing needs.